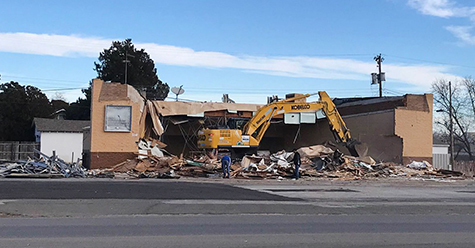 Although plans for Artesia’s shuttered Circle K building at 712 W. Main St. were unknown last week, a permit was filed with the City of Artesia this week by New Mexico Consolidated Investments for the property’s demolition, which began this morning under the direction of GWC Construction Inc. of Lovington. Many residents lamented the demise of the longtime convenience store, which had been a staple in the community since the early 1970s. The city says as of today, no permit has yet been requested for any future development on the site.